Tommy Hinnershitz by Gary Ludwig. Biography. 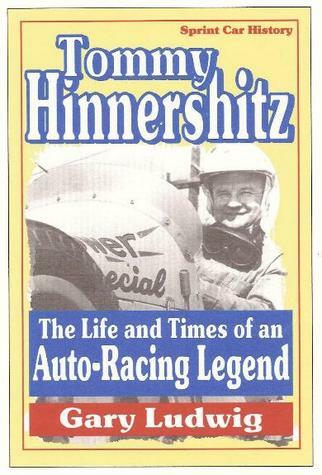 "Tommy Hinnershitz, The Life & Times of an Auto Racing Legend" by Gary Ludwig. (Basket Road Press Inc. 2009. 252 pp. with photos & career statistics. $29.95.) continues to be one of the best selling American auto racing biographies. Pennsylvania native Hinnershitz has been called by A. J. Foyt and others the greatest dirt track sprint car driver of all time. In 1939 he won the first feature race ever run at Williams Grove Speedway in Mechanicsburg, Pennsylvania. He raced in the Indianapolis 500 four times. He was inducted into the Pennsylvania Sports Hall of Fame and the National Sprint Car Hall of Fame, and was honored by other organizations. And now, veteran sportswriter Ludwig has captured the life and times of this auto racing legend. This beautiful new hard cover 252 page book, with 20 pages of photographs and a full color dust jacket with photos, includes the story of his life and amazing career, a history of sprint car and Indianapolis car racing, stories about drivers, their mechanics, officials, promoters and many of the speedways Hinnershitz and his contemporaries competed on. The book also includes Hinnershitz's complete race-by-race statistical record. The book is available from Hodge Podge USA., on most other on-line bookstores, and wherever books are sold.